One thing that I’ve learned in life is that talent will only take you so far. You’ve got to keep growing. I was a little distracted this week and was thinking today what I might post on Sunday. Tonight as I was painting in my studio, I was listening to American Roots on NPR. They were talking with Trombone Shorty (Troy Andrews) the fabulous musician from New Orleans. He said something that really hit home. He was talking about how he is sometimes criticized because he always wants to branch out and try new things. “You’ve got to try new things so that others that follow you have something to build onto.” That just made so much sense to me. I’ve seen so many artists who do the same thing, year after year after year. While sometimes their tenacity is admirable, most of the time I’m struck with the thought, “how boring.” What does that feel like? To keep doing the same thing everyday? How are you improving and what are you leaving for the following generations? 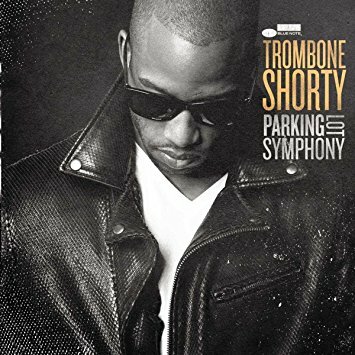 I think Trombone Shorty was referring to taking what you have, the talent or skill, and building on that. Take your skills, twist them a bit, and see what happens. Any artist who has tried this knows that sometimes it turns out like crap. But other times, it’s magic. THAT is what we’re after, right? Some magic. Try something new today. Get out of your comfort zone. Maybe it will be another piece for the garbage…but maybe, just maybe, it will be MAGIC! This entry was posted in Uncategorized and tagged being an artist, creativity, trombone shorty. Bookmark the permalink.